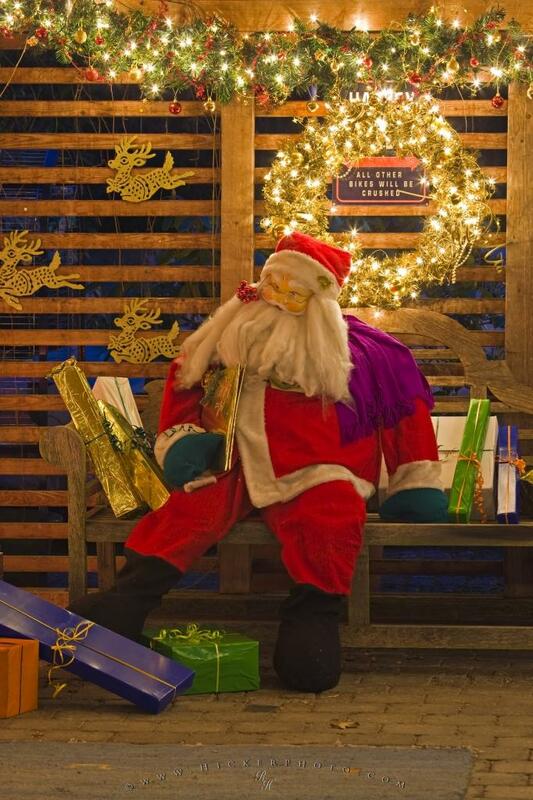 A mannequin dressed up like santa - placed on a park bench and surrounded by gifts and sparkling lights forms part of a christmas display outside a house. A rough bearded Santa Claus is on display outside a house in Freising surrounded by a brightly lit wreath and garland, and christmas gifts. Santa Claus mannequin with christmas gifts surrounded by christmas decorations and lights at a house in Freising, Bavaria, Germany, Europe. a house in Freising, Germany.